Echelon Las Vegas $4.8 Billion hotel on the Strip stops construction progress. 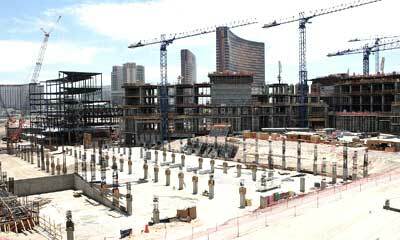 Today Boyd Gaming Corp. said the challenging credit markets and difficult economic conditions will delay construction until mid 2009. Market and credit analysts were hoping the megaresorts expected to open in Las Vegas, Nevada during 2009 and hiring of employees could help raise home prices and sales of residential real estate in a year. This resort will not help the local economy in the upcoming year. There are only hopes the Echelon Place will continue. Olympia Group and Boyd Gaming are jv partners for North Las Vegas hotel. 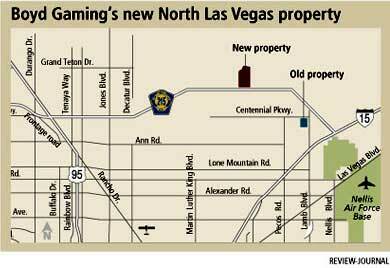 This week they are planning a casino hotel in the North Las Vegas real estate in Park Highlands. The 2,675 acre master plan community requires the approval of the North Las Vegas civic leaders for gaming. Boyd Gaming will not continue its casino on a near 40 acre gaming real estate site in Las Vegas, NV, within several miles of Park Highlands. They were to have filed the real estate plans this morning. Echelon Las Vegas Resort by Boyd Gaming this week unveiled its $4.8 billion 87 acres multiuse mega resort destination. Echelon will have five Las Vegas NV hotels that will be built on the imploded Stardust Las Vegas land. The media hoopla ground breaking had several hundred guests, Boyd executives and joint venture partners, inside a tent on site, watched as a shattered sheet of dark glass concealed a 1,000 pound cornerstone on Echelon real estate. The resort buildout is expected to take three years with a 2010 opening. Echelon Las Vegas retail project plans by General Growth Properties Inc. and Las Vegas Boyd Gaming Corp. The 300,000 square foot, $500 million, retail plans will be part of the $4 billion, Echelon real estate. The implosion of the Stardust Casino to make way for the Las Vegas mega resort several months ago. This partnership was announced at the ICSC annual spring meeting in Las Vegas, Nevada. The joint venture plans are for General Growth to contribute $100 million and Boyd to offer the real estate and above air rights for development. Boyd Gaming has developed a fantastic international team and brand for the Echelon Resort. These operators include Shangri-La Hotels, the leading luxury hotel brand in Asia; Morgans Hotel Group, which is developing the Mondrian and Delano hotels in a joint venture with Boyd Gaming; and AEG Live, and entertainment producer.